Configuration Settings for BMW "Premium Sound"
Early-on when I purchased my car, I noticed that the "Premium Sound" really sucked. I started a thread at M3Post discussing the topic. As the thread progressed, of course there were many people who disagreed with my analysis. I have some very sophisticated recording equipment, so I brought it into my car, captured a spectrum analysis, and created some settings that "fixed" (or at least flattened out) the sound. These settings are now widely used by other M3 owners and reposted and advertised on many different car forums and threads. I have the new M3 with loads of options -- one being the "Premium Sound." A friend of mine has the M3 on order (TBD next week), and asked me whether the "Premium Sound" was worth it. Both of us consider ourselves Audiophiles, and until he asked me, I hadn't really evaluated the sound in the car. So on my trip to LA this weekend, I packed up some CD's that I know very well. Popped one in and was just astonished -- not a good astonished -- but a BAD astonished. In a nutshell, my impression was the "Premium Sound" sucked horribly. There was very clear mid-range and high frequency response, but anything below 800Hz was completely missing. This was true whether the car was moving or stationary. The front/rear balance was also completely screwed up. Even though it was set to "center" -- all you could hear was front speakers. 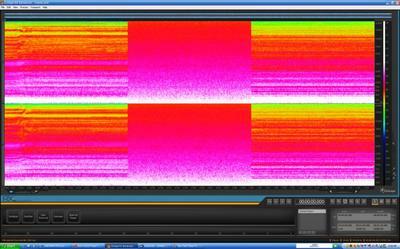 So I go into the iDrive equalizer and begin tweaking. It wasn't a mild tweaking, it was a MAJOR tweaking. I had to nearly max out the bottom end before I started getting anything that sounded decent. My equalization curve ended up looking something like this. Is this BMW's idea of a $1900 upgrade option? If this is a $2k upgrade, it makes me wonder how bad the stock stereo sounds. BMW should go back to audio school for this one. The stereo in my wife's Camry Hybrid blows this away -- completely blows it away. 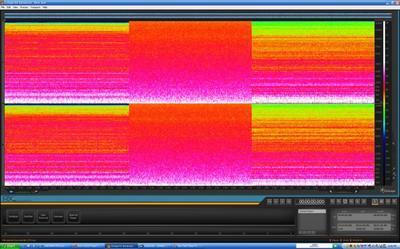 Here's the sonograms of the BMW M3 vs. Toyota Camry sound systems. Both cars have premium sound systems. 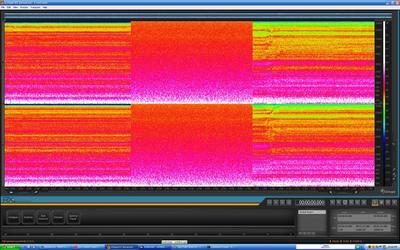 First a little about the equipment: 120 seconds of pink noise burned to CD. Korg MR-1000 5.6Mhz DSD recorder using Neumann SKM-140 reference microphones. Heck, it's only about $6000 of mobile gear...so what the heck...it should be good enough for the folks around here. Sounds were measured at 90db C-weighted. 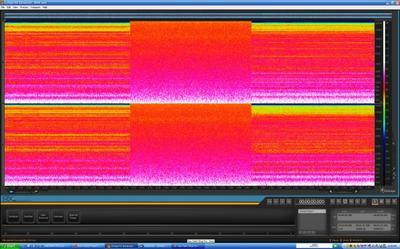 When you look at these sonograms, it's clear that the from 2000Hz on up, the BMW is pretty good. But below 2000, it's absolutely horrible. The Toyota on the other hand looks horrible from 2000 on up, but VERY good below 2000. In fact, below 2000Hz, the Toyota is practically perfect (for all intents and purposes). Here's the paradox with these results: from 2000-20000 Hz there are only 3.5 octaves of sound, and most of it only adds color (harmonics) or "cripsness" to the lower octaves. Sure cymbols live up here...but not much more actual content up there. Also, upper frequencies generate much less energy that lower frequencies, therefore your ear may not notice much difference if the sound is degraded at these upper levels. The remainder of the images are lower resolution. Here's the settings I came up with for "flat" frequency response. "Flat" is a relative term -- because it's as flat as I could make it. In the process, I didn't care what I thought my ear wanted to hear, I just looked at the equipment and tweaked the EQ accordingly. As you'll see from the graphs below, it's a pretty good fit. Here's some final thoughts. These settings were made with the car stationary, in the garage, doors shut, engine off, windows up. These settings generated "flat" response under those conditions. I knew that I'd want to adjust something a little more to compensate for road noise -- once I began driving. Once I had these settings in my EQ, I don't want to touch them to compensate for road noise. Instead, I'd now use the trebble/bass settings...to match my personal preferences. This page contains a single entry by PencilGeek published on April 28, 2008 10:44 AM. First pictures of the new car was the previous entry in this blog. Dynapack Dyno Results: 91 Octane Baseline (333whp, 255wtq) is the next entry in this blog.